In memory of those who were disappeared, tortured and exiled by the military dictatorship. 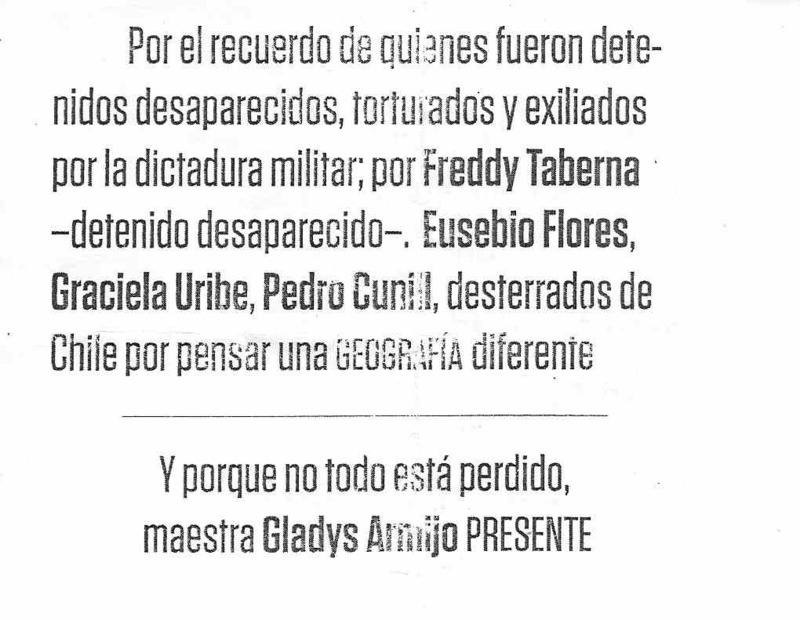 For Freddy Taberna (disappeared); Eusebio Flores, Graciela Uribe, and Pedro Cunil (exiled from Chile for thinking of a different geography). 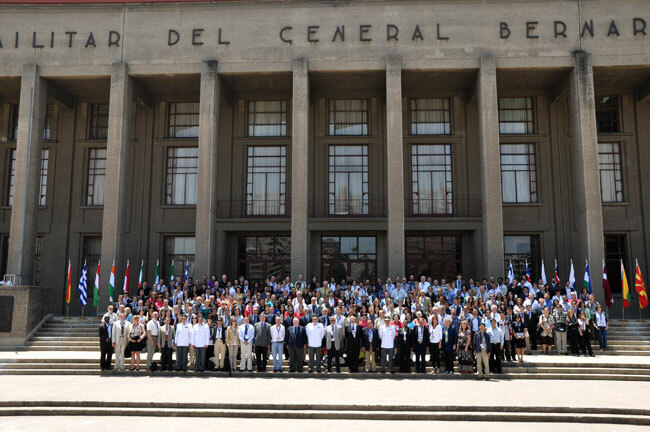 The conference was hosted by the Military Geographic Institute (IGM), and took place at the campus of the Military Academy of Chile. It was very professionally run – indeed with military precision, no presentation went so much as 60 seconds over time [see photos on IGU website]. According to IGU President Ron Abler, some 850 people attended from 60 countries, with over 30 percent from Latin America, a constituency from which the IGU has been keen to encourage more participation. 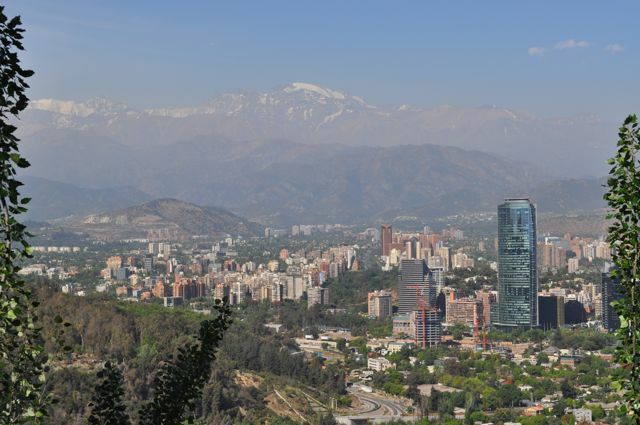 The decision to allow IGM to host a conference in Santiago was made 7 years ago by the IGU. Earlier this year, however, a petition was circulated internationally asking that the conference venue be changed. Clearly this was a bit late in the game; the effect instead was that a number of people did not attend. 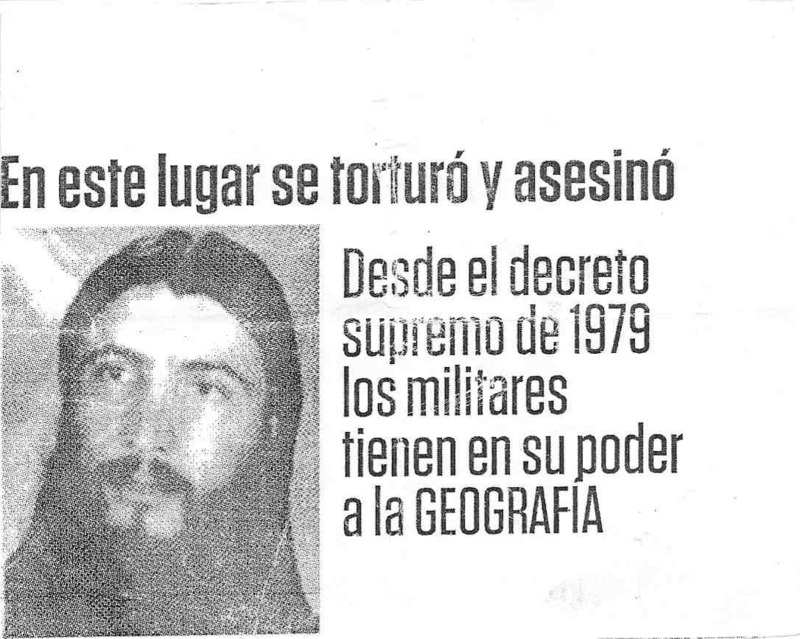 The prime complaint was that the location (the Escuela Militar), the host (the IGM), and the military in general were still associated with the regime of Augusto Pinochet from 1973-1990, associated with violence, widespread torture, and some 3000 disappearances of political enemies. Indeed, Pinochet taught geography at the Military Academic himself. (See the excellent editorial [Spanish version here] in the journal Political Geography by Irene Hirt and Marcela Palomino-Schalscha). I had decided to attend out of interest in the conference location (Chile is indeed stunning), rationalizing that the Military Academy existed long before Pinochet and long afterwards, that the identity of the hosts or local organising committee had never really mattered in any conference I had attended, and naively assuming that Chile had come to terms with its history, and that that conference could serve as a means to engage with and move beyond the history. How wrong. In my superficial reading, Chile is still quite strongly split between right-wing fans (and apologists) of Pinochet – the military being firmly in this camp, and probably many businesses, given his role in economic growth and liberalization – and left-wing activists. 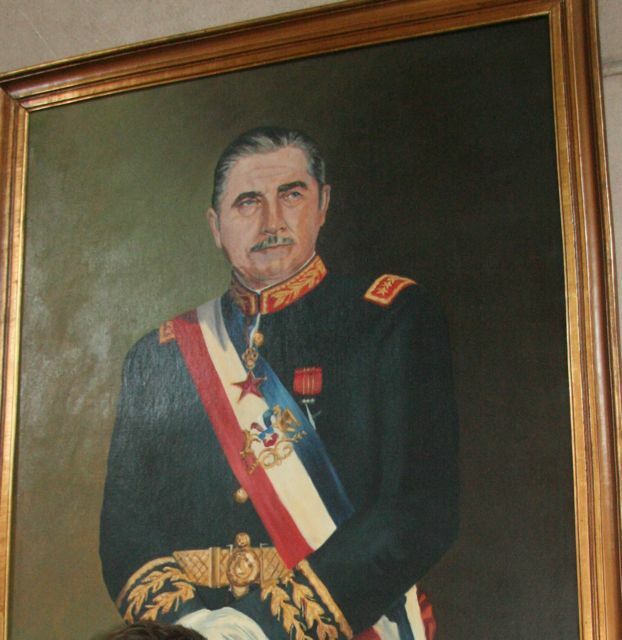 Pinochet’s portrait still hangs in the second floor lobby of the Military Academy’s main building, along with other Commanders-in-Chief of the Chilean Army, and the label makes no mention of controversy, noting instead his Presidency (without remarking that it followed a coup d’état) and the fact that his remains were exhibited and the funeral held on these very grounds. In addition, most attendees did not know that the gala dinner venue – the posh Club Militar Lo Curro – had been used by Pinochet as one of his residences. I just learned this by chance from our fieldtrip guide as I was heading for dinner elsewhere. Indeed, there was no indication at all that, as Hirt & Palomino-Schalscha suggested, the conference could “represent an opportunity to acknowledge these legacies, as has been done with other conference sites bearing imperial and military links” (2011, p355). The history, site, memory, and associations of the place were not discussed (not even gently and obliquely, as they might have been in an opening ceremony, or directly in a panel session), and the high security suggested that they were not welcome to be discussed. It seems a missed opportunity. Clearly, almost any conference venue has some ghosts in the closet, so one might just give up and always stay at home. Yet this was a particularly egregious ghost as well as a superb chance for some critical engagements. To admit errors of the past, even if one was not directly involved, requires a lot of courage. I think many of us would have found our hosts – gracious, kind, fun, and professional in many ways – much more impressive if there was some hint, some glimmer, some indication that the past was not just swept under the rug just like the protesters were quietly escorted out of the room. This entry was posted on Thursday, December 1st, 2011 at 8:45 pm and is filed under Uncategorized. You can follow any responses to this entry through the RSS 2.0 feed. You can leave a response, or trackback from your own site. This is why many of us boycotted this conference! An update from the IGU’s 2012 congress in Köln, Germany: I congratulate the IGU executive for organizing a session inspired by the Santiago (and Tel Aviv) conflicts. It included a number of presentations on ‘lieux de mémoire’, place memory, and place-based ethics of care. Nicholas Entrikin, for example, described the IGU Santiago as a transnational incursion into a still contested and unsettled national conflict. IGU president Ron Abler, who avoided the topic in his official presentations at Santiago, spoke briefly and directly about the lengthy discussions in the IGU board, and the constraints of the policies of international scientific unions. Too bad there was no space for a similar session – highlighting good geographical theoretical and practical approaches to traumatic place memory – in Santiago, and also too bad that the session title didn’t signal the relevance to Santiago, hence many interested people may have missed it. This is ridicolous, why boycott a well organized conference on geography based onpast history of the building….what does geographyhave to do with the coup in 73? Were you guys there to discuss politics or geography? So tired of this non sense, most people in Chile have moved on, except these leftist radicals pushing for the destruction of Chilean democracy and laws as evidenced by these so called students who destroy everything in their path…all for an outdated ideology. One would expect the foreigners to use criteria and unserstand that Chiles history did not start in 1973 and that the escuela militar as well as most institutions do not date from that period….the rest is made up nonsense….and Iam glad Pinochets painting hangs there as he was a teacher at the academy. Glad the communist minded didnt make it to the conference. By the way, I am Chilean and not a member of the military nor an ‘apologist’ just someone with common sense. Andres Velasco, ridícula es tu interpretación del acto de protesta que ha realizado aquellos días, aún piensas que la geografía no es politica?, creo que debes comenzar a leer un poco más, llevamos más de 40 años discutiendo al respecto en la geografía. Por supuesto que hay que reclamar pues la geografía ha sido cooptada desde aquella fecha por el discurso geopolitico y militar, no hay una democratización de las instituciones y la UGI, así como el IPGH siguen avalando esto. Dices no ser apologista pero se te nota en cada palabra lo facho que eres.